With the May 9 victory of the Lummi Nation over the proposed Gateway Pacific coal export terminal at Cherry Point, Washington, the Millennium Bulk Terminals coal port in Longview, Washington, 460 miles from Sandpoint, Idaho, could become the largest such facility in North America. 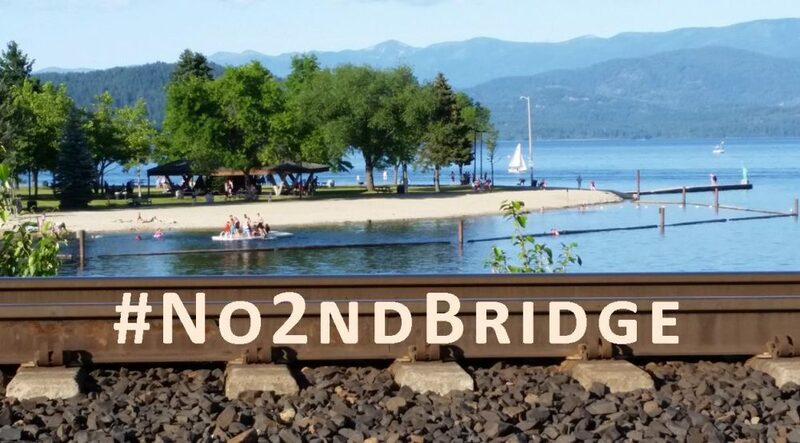 Please speak out against the many direct impacts that its eight additional, fully-loaded, daily coal trains would impose on Idaho public and environmental health, by sending your written comments to Washington officials before the 11:59 pm PDT June 13 deadline. Reference the attached Power Past Coal Millennium Bulk Terminals DEIS Talking Points and the previous Wild Idaho Rising Tide (WIRT) action alert . Thanks to ongoing, inspiring work by a diverse spectrum of grassroots climate activists to mainstream environmental groups, thousands of regional residents participated and testified at three public hearings on the draft environmental impact statement for this last of six proposed coal export terminals in the Northwest [2, 3]. Three cheers for the dozens of die-hard, anti-coal organizers from across Idaho, Montana, Oregon, and Washington, who coordinated participation and arranged carpools for these hopefully historically last public hearings and rallies against Northwest coal trains and ports. The most salient display of industry and government disregard for genuine public input occurred toward the end of the Pasco hearing convened on traditional Yakama tribal lands. Hearing moderators cut off testimony by Mathew Tomaskin, the legislative liaison of the Yakama Nation, while he disclosed that the Washington Department of Ecology and Cowlitz County had not consulted the tribe about the proposed coal export terminal and associated trains [11, 12]. When he talked beyond two minutes, as he had initially stated that he would, moderators rudely interrupted him, silenced his microphone, and called for a hearing break. Much of the audience stood in support of Mr. Tomaskin, who did not receive the respectful treatment deserved by his dignified representation of a sovereign nation. Thanks for commenting on this potentially climate-wrecking fossil fuel infrastructure! This entry was posted in Coal/Oil Trains/Ports, Newsletters by WIRT. Bookmark the permalink.